Beautiful birds, all of them! Oh I love the pic where the House Sparrow looked straight to the camera! I am so impressed that you can catch these birds singing! It’s actually not difficult. 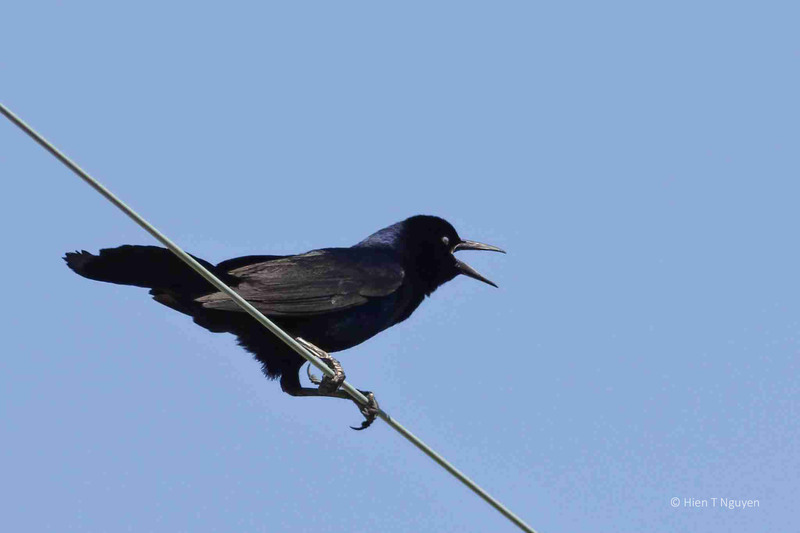 Birds like to sing or call one another. You just have to be patient and wait for them to do that, and then press the camera shutter. That’s true, there’s usually a call and response going on. I will listen out! Beautiful captures. You caught them very well. My favorite is the house sparrow. Its expression was priceless.. Thank you! 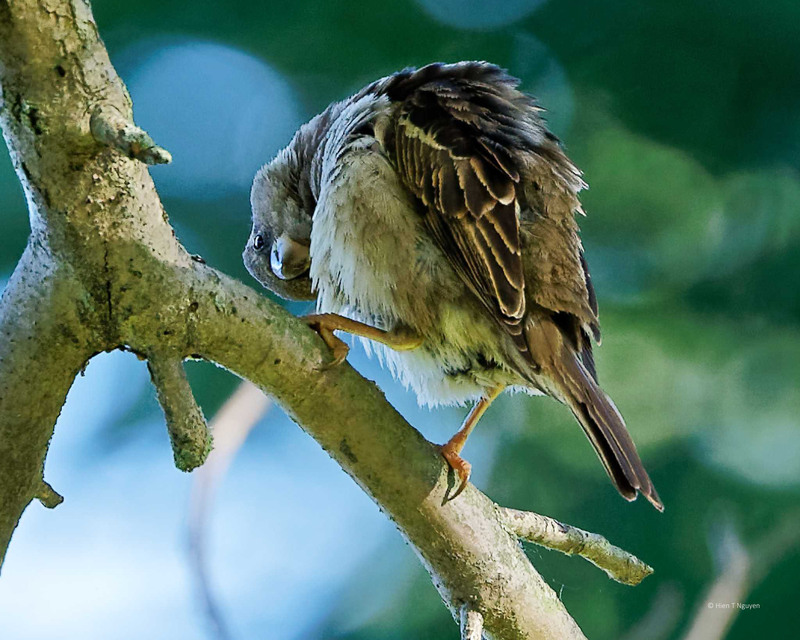 Sparrows live near humans, and perhaps they have learned to imitate some of our expressions. Thanks Eliza! I was surprised to see the Yellowthroat and had to look it up once I got home to be sure. Thank you Lynn! Perhaps warblers are small birds and harder to see than the other ones. That’s certainly true, but it seems there were more back east, or maybe I knew where to find them every Spring. I see a few here every year, but not in the numbers that I used to see in NY/NJ. Speaking of little birds, we do have the charming Bushtit here, a really tiny gray bird, almost like a miniature catbird but lighter, that builds an intricate hanging nest, a little like an oriole but smaller. So there are always trade-offs. Trade-offs always! We should live on both coasts. 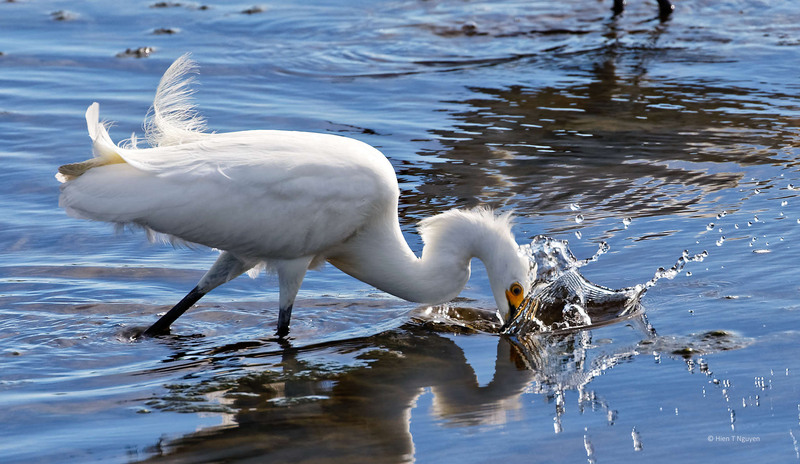 the photos of the sparrow and the egret are fantastic! Great photos. It’s wonderful you can site and identify all these birds. 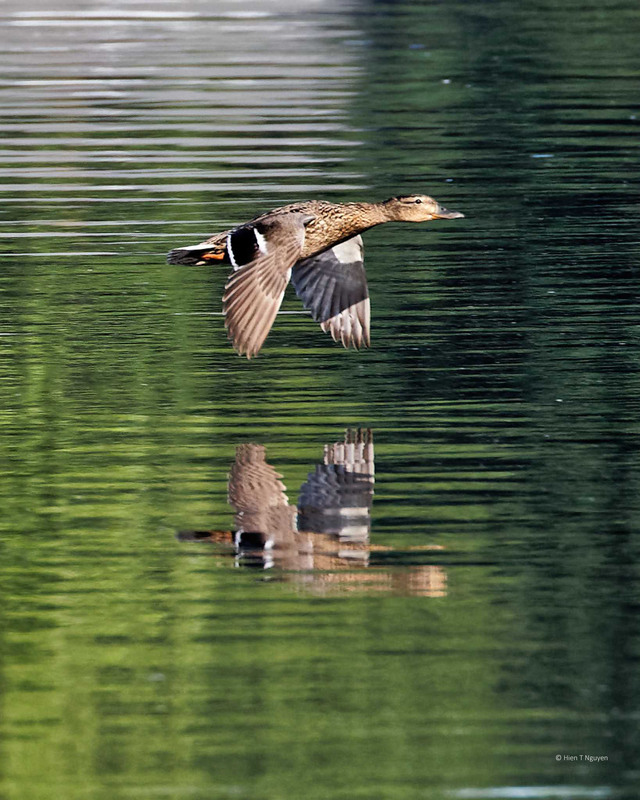 I especially love the water reflection photos. Thanks Katelon! I am still very much a neophyte at identifying birds and turtles. Still a lot to learn. A nice cast of characters for this little story. 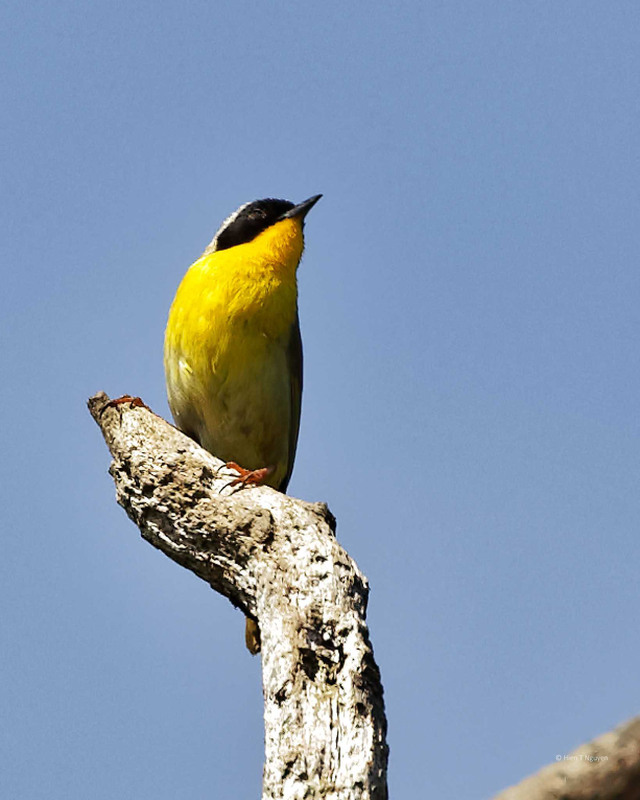 The Yellowthroat is very pretty. Right after I photographed it, that Yellowthroat was chased away by a much larger Barn Swallow. 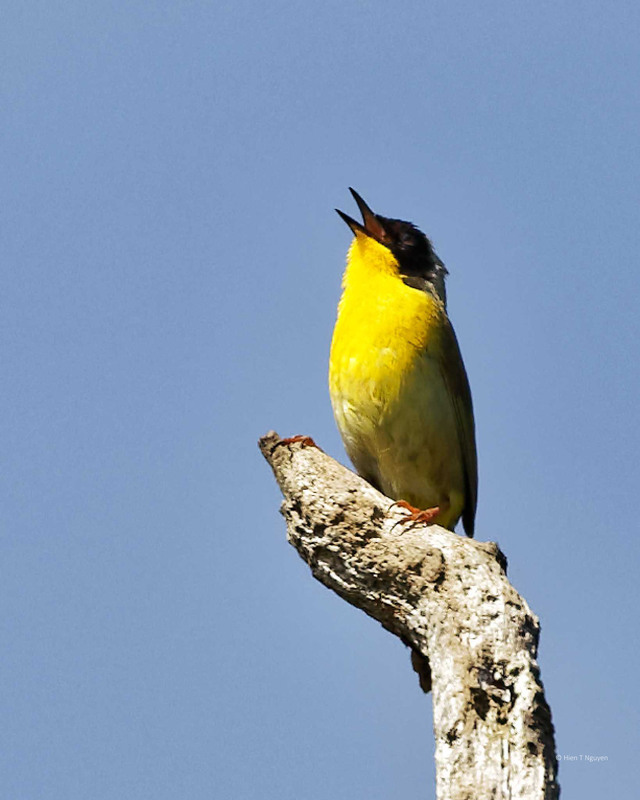 Congratulations on the common yellowthroat, that’s a species more often heard than seen. I liked the curious sparrow, birds can strike some humorous poses at times. I loved the action images of the mallard and egret, I wish snowy egrets were seen around my area more often. Nice captioning on the grackle, it put a smile on my face this morning, a good way to start the day. Thank you! That sparrow jumped on several branches before I took that shot. What a beauty. I love their essence when they are singing. I think it shows in photos too.